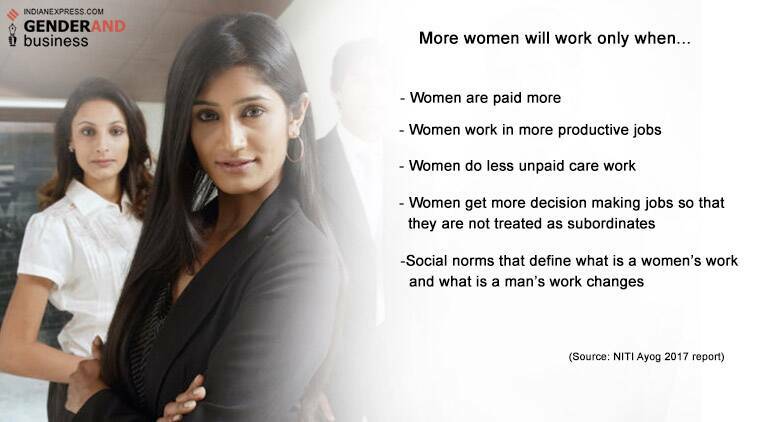 GenderAnd Business: Here’s what the numbers say about women and jobs in India. Prime Minister Narendra Modi’s slogan ‘Beti Padhao, Beti Bachao’ means education is the key to women empowerment. It is assumed that higher education for women leads to jobs and financial empowerment for women. We break down the numbers to assess why access to higher education for women does not necessarily lead to more jobs for women. 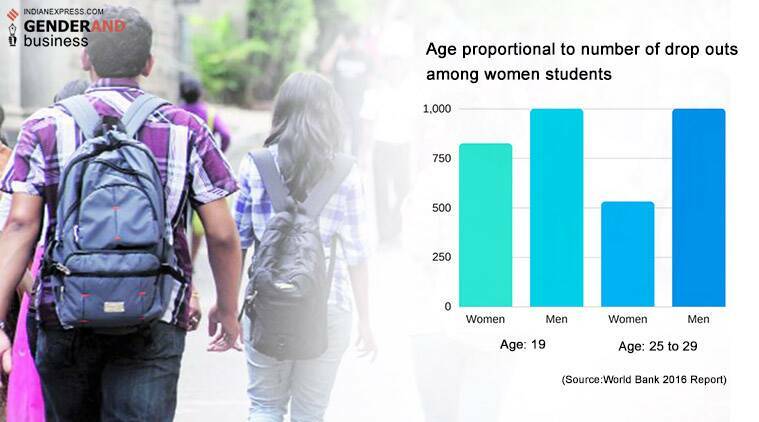 Access to higher education for young women has increased by seven per cent in India. 2. 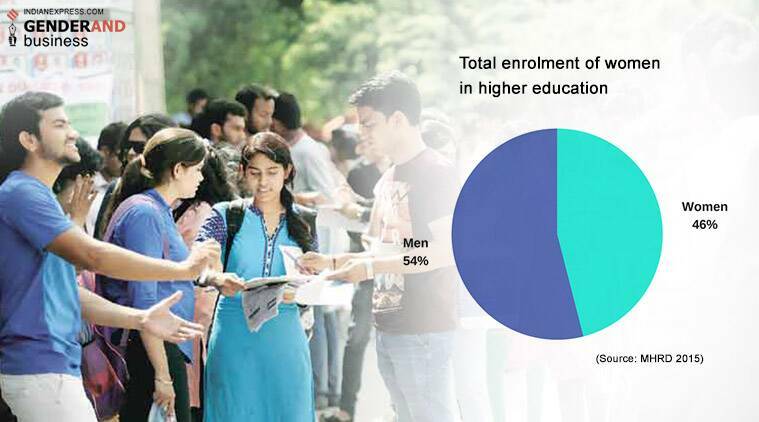 Out of 33.3 million enrolments in higher education In India in 2014-15, 17.9 million were male and 15.4 million were female. 3. 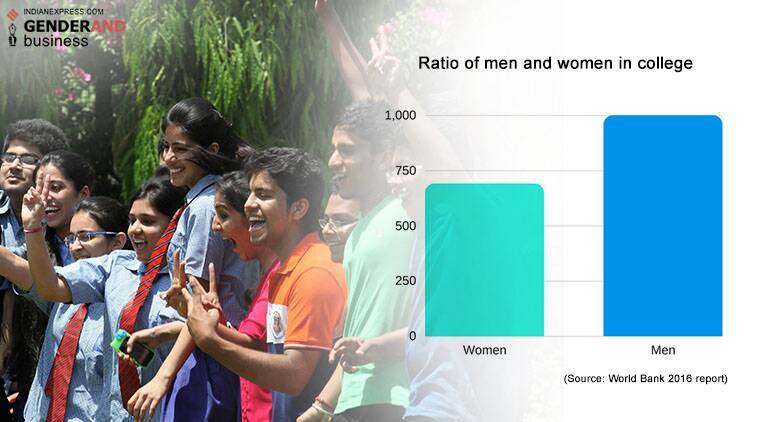 Yet, the disparity between the number of male and female students still remains wide. For every 1,000 men who never get access to education, there are 1,403 women who do not. That is almost one and a half times more women out of college than men. 4. 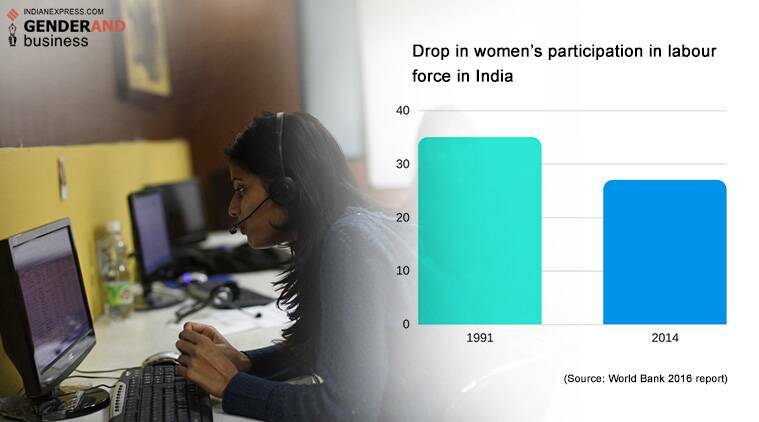 Which is why, inspite of more women accessing higher education, India’s Female Labour Force Participation (FLFP) has dropped by eight per cent in the last decade and a half. 5. 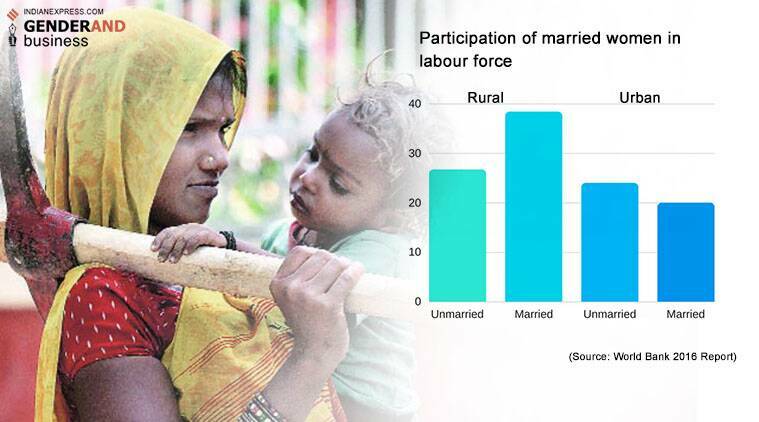 India is way lower than the global average when it comes to female labour force participation: ILO (2013) ranks India’s FLFP rate as 121 out of 131 countries, one of the lowest in the world. In 2013, India had the lowest FLFP rate in South Asia, with the exception of Pakistan. Globally, only parts of the Arab world held a lower FLFP rates than India in the same year. Numbers suggest that women drop out from higher education as their age increases. 2. 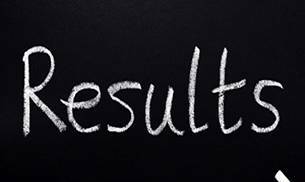 Less enrolment in professional courses — 38 percent of all women are enrolled in humanities courses. 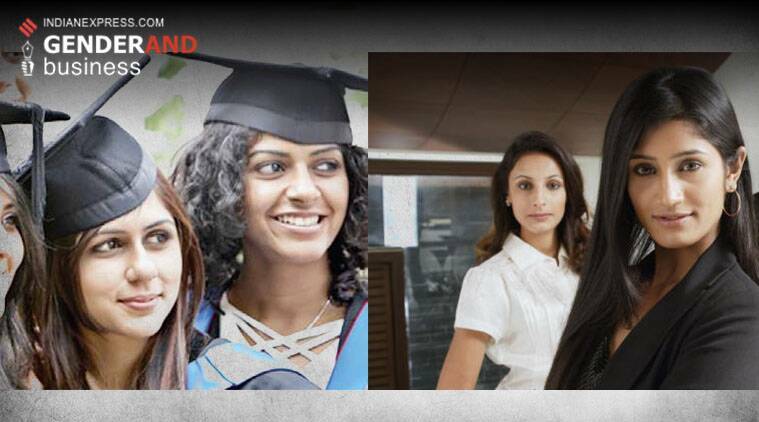 The highest concentration of women is seen among undergraduates. Humanities and education are seen as safe choices and makes them more marriageable. 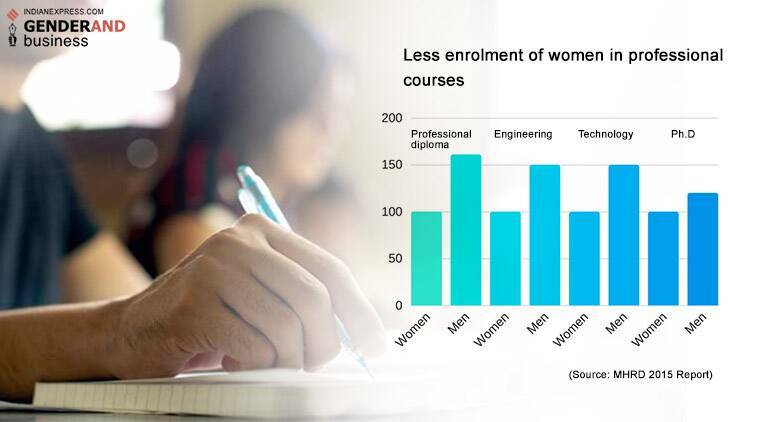 So even when women are educated, the number of men who get trained in professional courses is way above women. 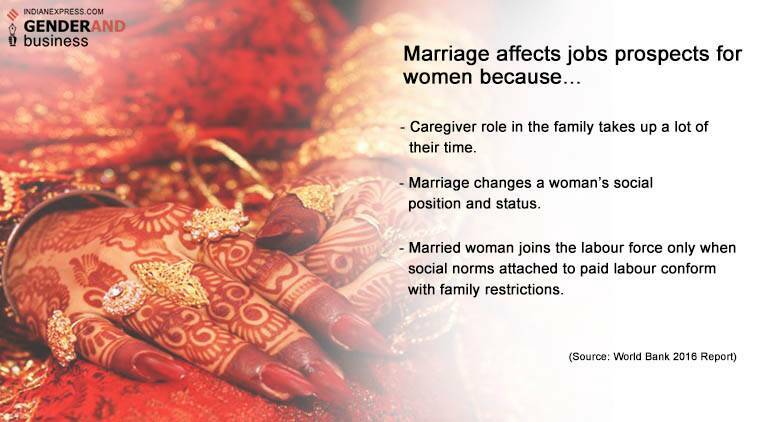 According to the World Bank study, one of the key reasons that affect presence of women in jobs market is marriage. Possessing secondary and higher secondary levels of education were not found to be an incentive for women to participate in the labour market in India .The lowest incidence of FLFP rates is among those who had attained secondary and post-secondary (10+2) levels of education, followed by those with levels of education below the secondary level, across years in both rural and urban areas. The FLFP rate is highest among illiterates and college graduates in both areas. help us find more such stories using #GenderAnd in your conversations.